If you’ve got a laptop or a netbook, you’ve already got a nice eBook reading device. 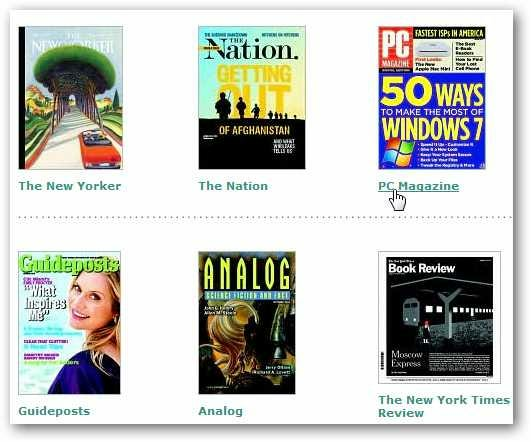 The Barnes and Noble Nook for PC lets you read your Nook eBooks, eNewspapers, and more on any of your computers. It’s available for both Mac and PC, but here we’ll look at the Windows version. Head to the Nook apps website (link below), and download Nook for PC to your computer. Once it’s downloaded, install it as normal on your computer. 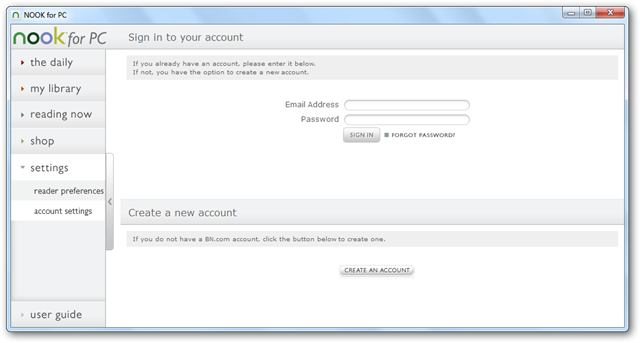 On first run, you’ll need to enter your B&N account info, or if you don’t already have an account, click Create An Account at the bottom. Once you’re signed in, you’ll see any books already on your account in the my library section of the sidebar. Click the Shop link to access the Barnes & Noble’s eBook store online to browse and purchase books, or just go to the B&N website in your browser (link below). If you’re not sure if you will like a book, you can always download a free sample to try it out first. Once you’ve got some books, you can read them from the my library link on the left sidebar in Nook for PC. Click Read Now to start reading a book, or you can choose to see more details about the book or archive it. Here’s the details page, showing more info in Nook for PC about the sample book we downloaded. And here’s the reading screen with a sample book. You’ll notice that the eReader makes the eBook almost feel like a paper book, complete with page numbers, 2 columns of text, and nice text formatting. 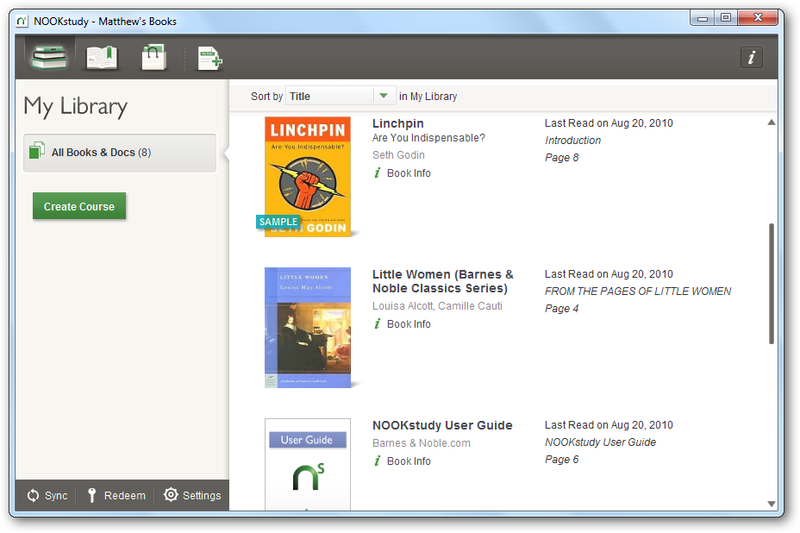 However, Nook also lets you take advantage of the digital form of your book. 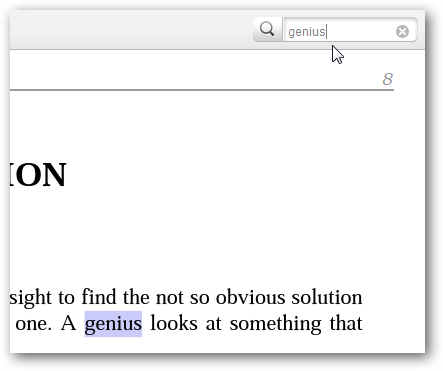 You can select text in an eBook to look it up in the included dictionary or on Wikipedia in your browser, or you can highlight and add notes to the section. 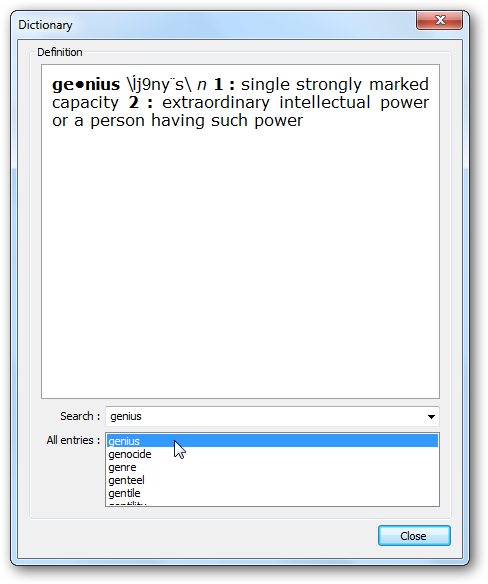 Here’s the included dictionary that opened when we looked up a word. Very handy! 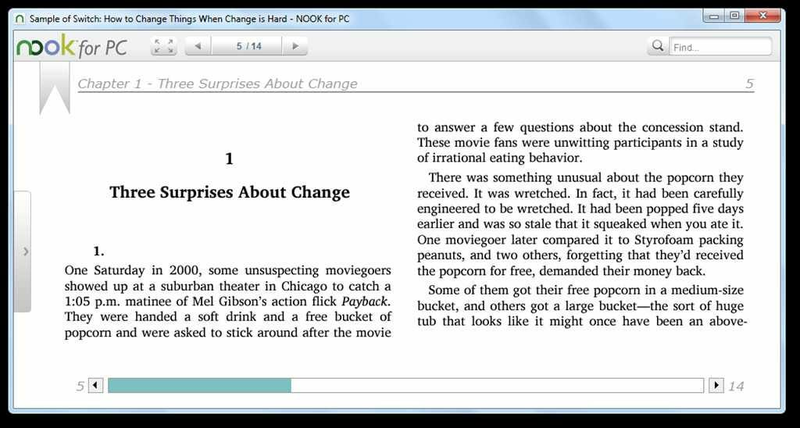 Nook also lets you search the contents of your eBook from the top right corner of the application. 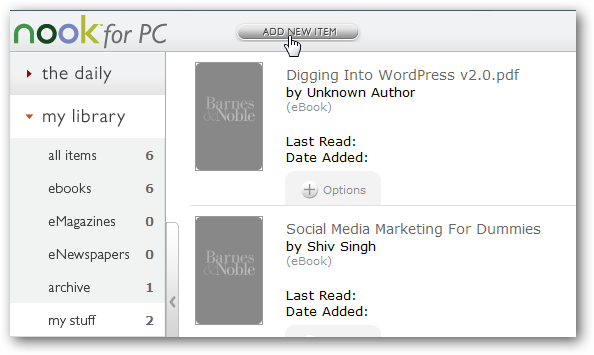 You can also add eBooks that you already own to Nook for PC. 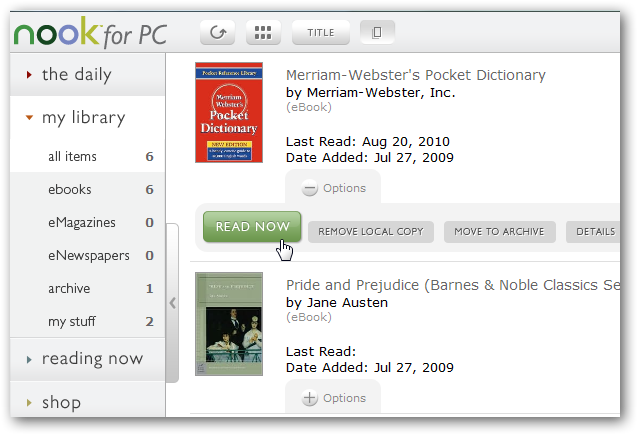 This is a great way to make it your main eBook reader without purchasing a ton of new books. In the my library section on the left sidebar, select my stuff. 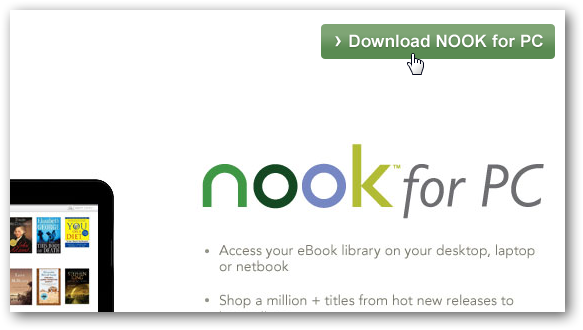 Now you can click Add New Item to import an eBook. 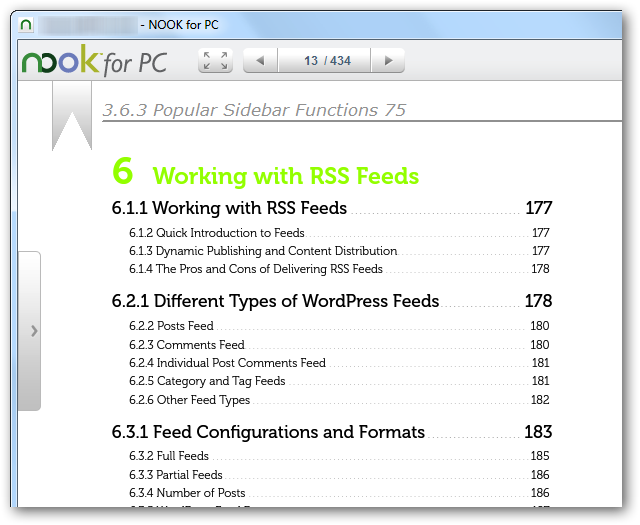 Nook for PC lets you add PDF, ePub, and pdb formatted eBooks, including PDFs secured with Adobe Digital Editions DRM. 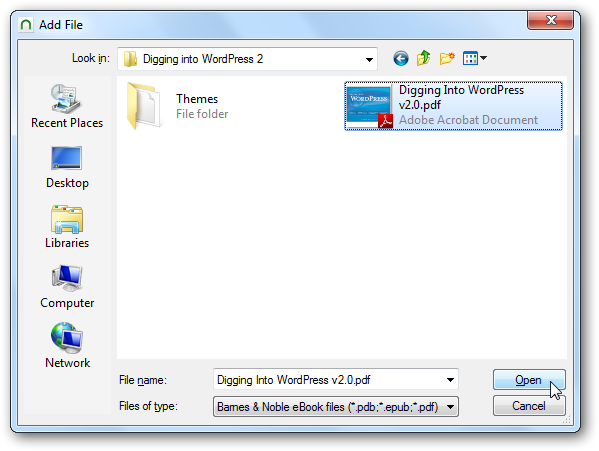 However, you cannot import your eBooks from other eReader programs such as Kindle for PC, as these include DRM that can only be read by Kindle. Here’s a PDF eBook in Nook for PC. One nice thing is that it automatically remembers your current position in the book, so your imported eBooks work just like your Nook eBooks. 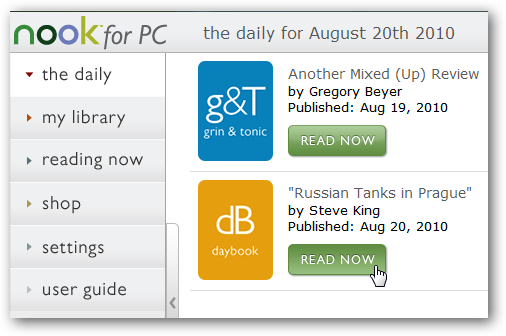 Nook also includes a daily review and interesting fact about the day in the daily section. Click Read Now to read this tidbit of information about the day. 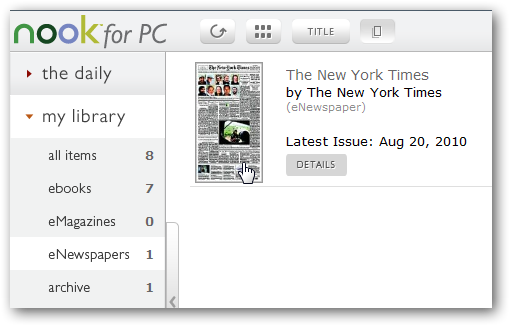 Nook for PC also lets you subscribe to newspapers and magazines just like the Nook device. You can browse the available journals online, and even try them out for 14 days for free. Note that eNewspaper and eMagazine subscriptions may only work inside the US. If you’re a college student, you’ve likely noticed that textbooks are a strain on both your wallet and your back. Barnes & Noble has a special edition of Nook for PC called NOOKstudy that’s a great way to get your textbooks cheaper and easier on your netbook or laptop. Many popular textbooks are currently available on it, and you can often either purchase your textbooks or rent them to save money. 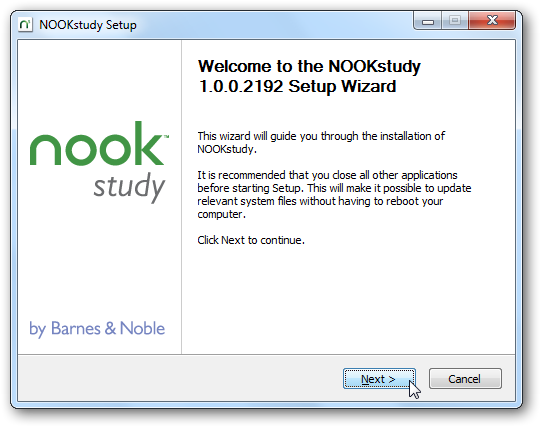 First, download NOOK study from the link below, and install it on your computer as normal. 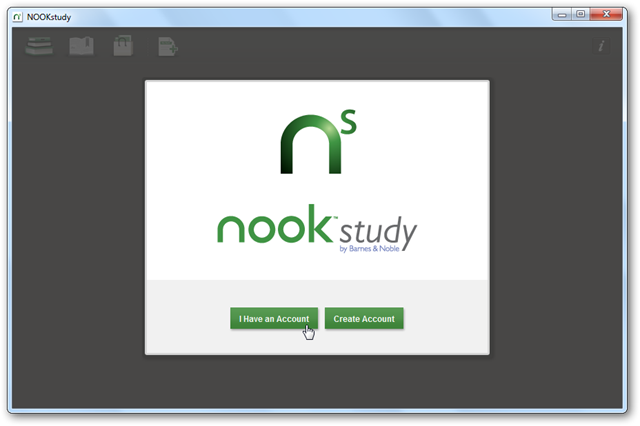 If you’re already using Nook for PC, you can just install NOOKstudy in addition to it and use the one you want depending on what you’re reading. 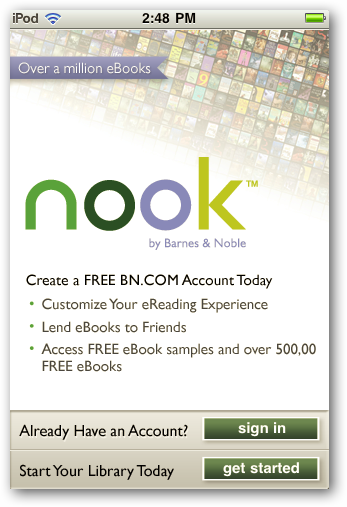 When you first run NOOK study, login with your existing B&N account or create a new account as in the Nook for PC app. Next, select a state and school, and click Sign In. 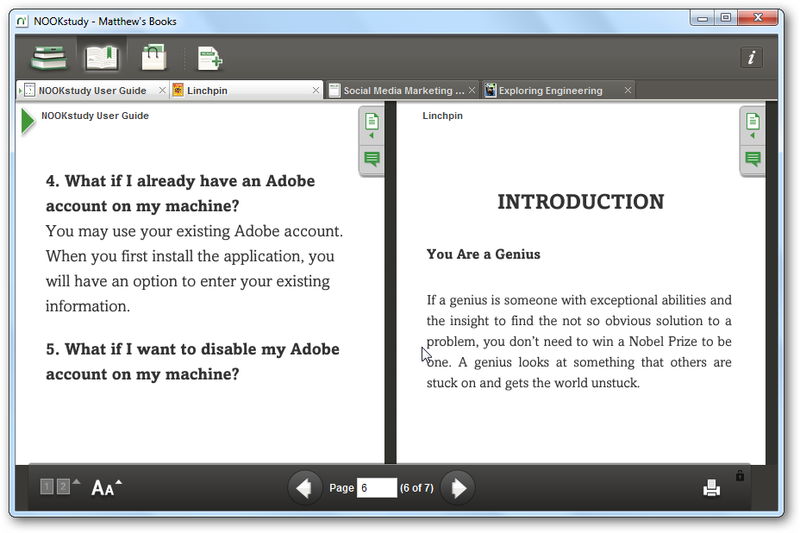 NOOK study will be integrated with your Adobe ID if you have one so it can read DRM-protected PDF files as well. Once you’re signed in, you’ll see your Nook books listed in NOOK study. You can use this program as your primary eBook reader if you like, as all B&N eBooks will work fine in it. 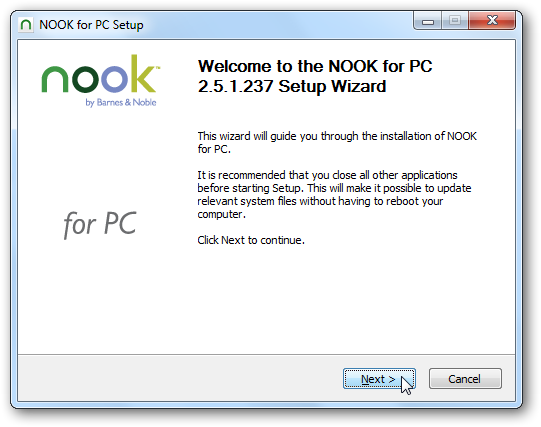 However, eTextbooks will only work in NOOK study, so you won’t be able to use eTextbooks in Nook for PC or on a Nook device. 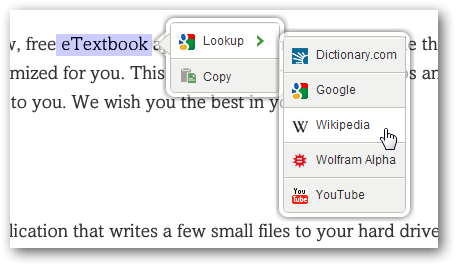 Click the book bag icon in the toolbar to search for textbooks you need for your classes. 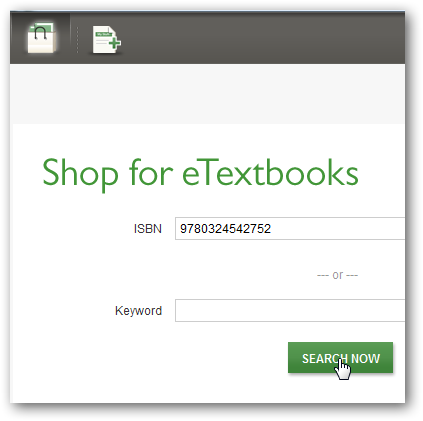 This will open the B&N store in your browser, and will open a page about your textbook if it’s available. 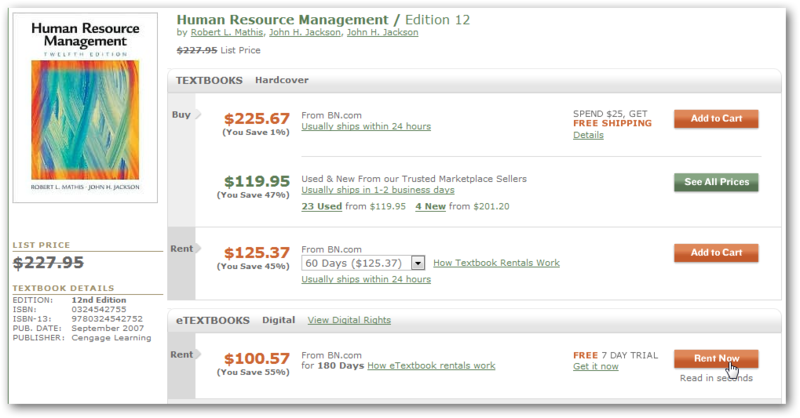 Note that many eTextbooks are only available for for 180 day rental, but if you only need the book for one semester, this should work fine. 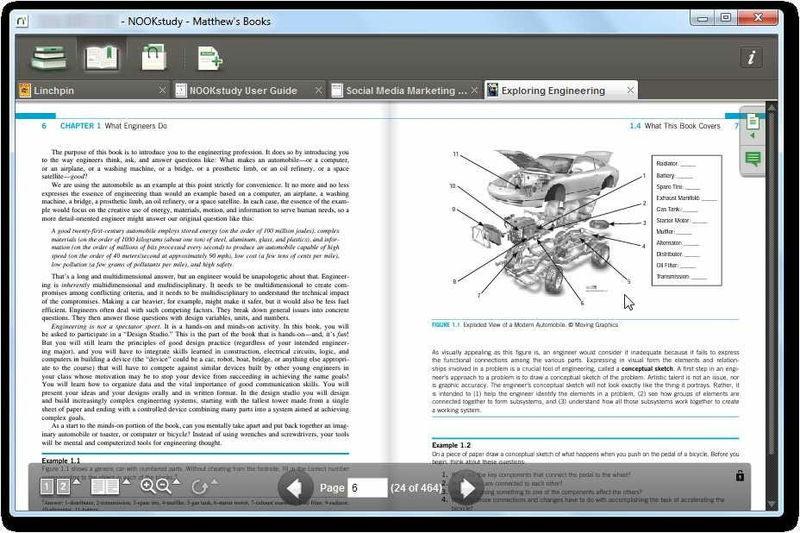 If you’re not sure about reading a textbook on your computer, you can read the book for a free 7 day trial first before purchasing it. Here’s a textbook open in NOOK study. You can see 2 pages at once just like you would in a paper book, and can see full-color pictures, diagrams, and more right on your computer. 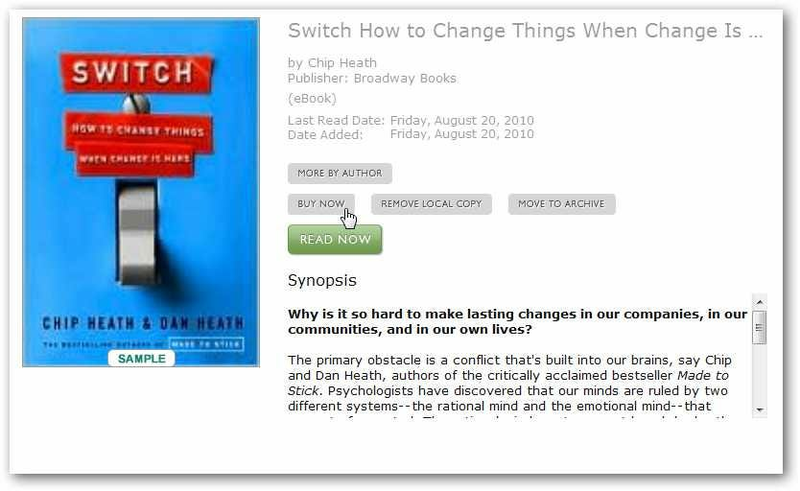 You can adjust your eBook settings from the toolbar at the bottom and zoom in to make it easier to read. If you’re trying to compare what two different books say about a topic, you can easily do this. 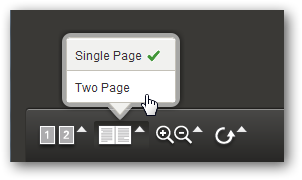 Click the button on the far left of the toolbar to select another book to view side-by-side. Here we have 2 books together in NOOK study. 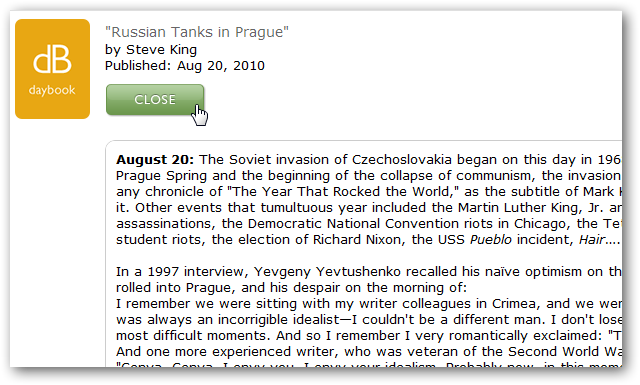 NOOK study makes it very easy to get more info about the text in your eBooks. 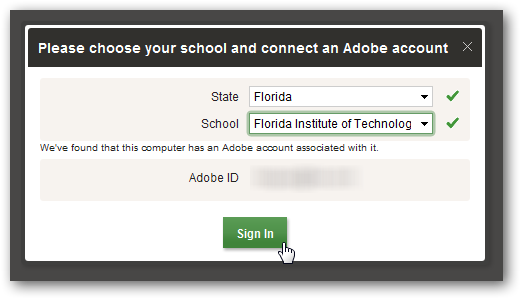 Select any text to copy it or look it up on Google, Wikipedia, Wolfram Alpha, and more. You can also highlight and add notes to your textbooks as normal. 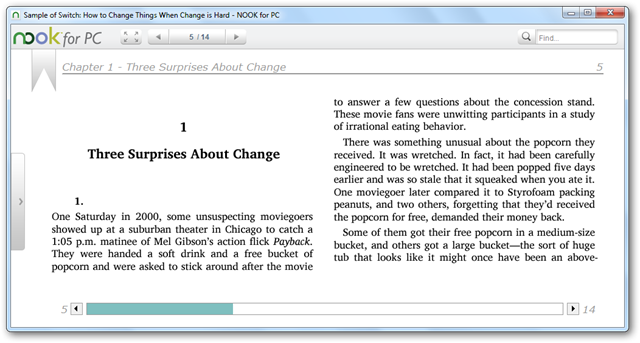 Select eBooks also let you print them, which is a great feature not included with the standard Nook for PC app. Most textbooks will include limitations on printing rights, so check your textbook’s info to see what you can do with it. 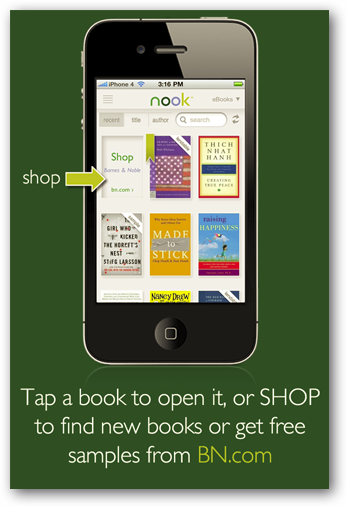 Nook is also available for your iPhone, iPad, and iPod Touch. Just download the correct version for your device. Here we look at it running on an iPod Touch. It essentially works the same as it does on the PC. When you first start it you get a guide on how to control the app on your iOS device. 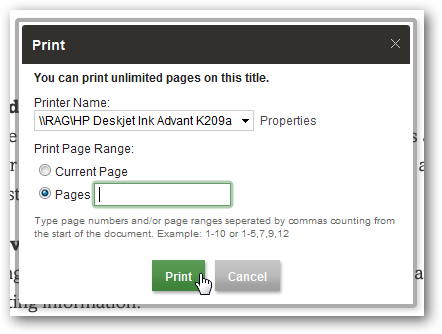 You can go back to the user guide at anytime as it’s included in your library. Here is an example of an eBook running on the iPod Touch, you can easily use the slider to navigate to different areas of the book, change text size…etc. You can search different types of media in different categories. The Nook Reader is also available for Android 1.6 and above, but we didn’t have time to test it out and show it to you in this article. If you’ve had good luck with it on your Android device, definitely let us know in the comments. 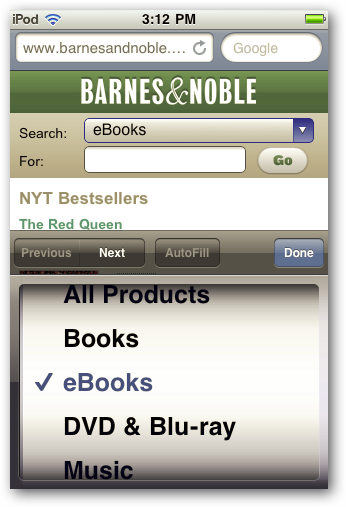 Nook’s eBook apps bring Barnes and Noble’s eBook inventory to a wide range of devices. 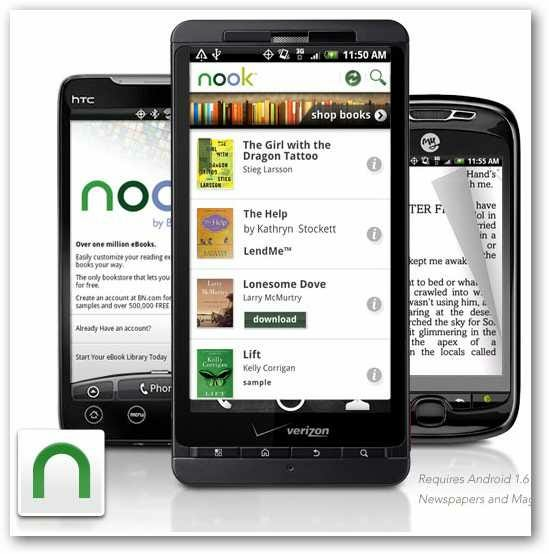 Even if you don’t own a Nook device, you can still take advantage of the books, textbooks, newspapers, and more. We were impressed with the wide range of features included in the Nook eBook apps, and especially liked the ability to import PDF and ePub format into Nook for PC. 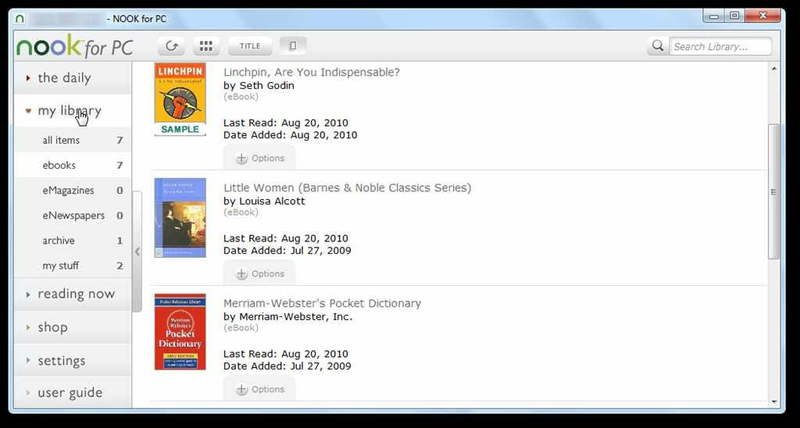 The reader apps included many features that other eBook readers don’t, such as searching the contents of the eBook and copying text. Give it a try, and let us know what you think.